Come in for your favorite meal and save! View this month's Daily Specials Calendar. Every day All Star Diner serves up an assortment of delicious fare. Get a hot, tasty meal at a price you'll smile about. $7.99 Lunch special served Monday - Friday from 11 a.m. It's a Rock 'n Roll music night! Meet Friends. Make Friends...at Ozzie's Place! Come out for an eclectic mix of rock music and other favorites covered by Hippy and the Squids. 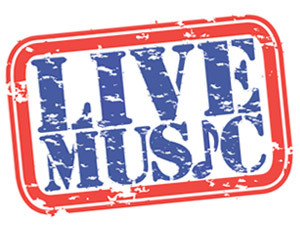 Enjoy live music tonight. Nominee for Best Band for 2018 by the Washington Blues Society, Gin Creek plays a variety of blues styles. Gin Creek also includes roots rock, old school R&B, funk, and jazz, all with a strong rhythmic feel to get up and dance! Enjoy live music tonight. Drink specials. No cover.